Very good place to stay! Staff very friendly and helpful! This might be your best chance of meeting other backpackers in Luxor. 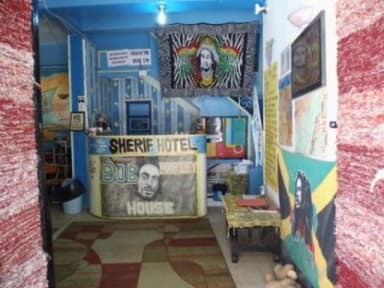 Egypt doesn't really have a big hostel culture, but this one comes close. Staff was super nice and they can hook you up with different tours in Luxor for very fair prices. Beds are big, a/c works, common area was a great place to meet people and the rooftop at night is something you should check. Perto de tudo, funcionários super prestativos... Mas a cama era muito ruim, praticamente dormi na madeira, sem colchão e a limpeza era muito ruim, tanto dos banheiros, quanto do hostel inteiro.